If you are a homeowner, then you should definitely have home insurance. It will inevitably leave you with peace of mind about anything every happening. There are even some subdivisions and neighborhoods that require you having it when even thinking about moving there. By having home insurance you are covering your house and belongings in case of any type of disaster. If a fire broke out, or if a hurricane happened to hit your house the insurance will cover the costs. There are different types of policies and classifications available that you should know about before signing any agreements. Such as the dwelling policy which says that homes of a certain age don't necessarily need home insurance. There are many different insurance companies out there, so you should always find the one that is best suited for you and your needs. Most car insurance companies offer home and other types of insurance policies as well. By going to a company you already know and trust you will have even more peace of mind about everything as well. They may even offer a few discounts for you. But like everything else you don't even have to leave the comfort of your own home to sign up for insurance. You can get free quotes and sign up for policies online. As technology has rapidly advanced over the years, there are many things you can do at home now. By even getting quotes and searching around for the best policies online, you may receive more of a discount. While getting a quote they will ask you a few questions about your residence and you will even be able to compare policies from other companies as well. Everything is very easy, and if you ever feel as if you need to talk an agent you can always call them or have them call you. Though having quotes for home insurance completed online will definitely save you quite a bit of time. 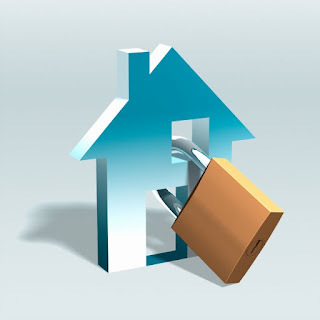 Home insurance covers quite a bit of things for the safety and security of your home. Such as dwelling which means that your house is covered against damage such as hail, lightning, hurricanes and fires as well. Though it is known that separate policies are needed for earthquake and flood insurance. Those are less common, so it would be a little bit extra. Some other structures on your property are covered as well such as detached garages and other detached buildings on your property as well. Personal property covers and protects your personal items and household contents as well. Other things that home insurance policies cover are loss of use which typically means all of your expenses will be covered in the case that you cannot inhabit your home anymore. It will simply cover all hotel and restaurant bills you may acquire while not being able to stay in your home. Personal liability protection will cover you in the event that a family member is injured or any other property damaged occurs. And medical payments will also be covered as well. Home insurance is very important to have as you never know when any type of natural disaster will occur. Home insurance is very important, if you are a new homeowner or if you've owned your home for a while. You will definitely need a policy as you never know when any type of disaster will occur. It is good to be covered just in case, it should give you peace of mind. And if you have any questions about getting a quote online you can always call the insurance company and speak with an agent.